VISALIA – A leading West Coast parcel service announced the opening of its largest hub in Visalia last month. Golden State Overnight (GSO) – which offers overnight shipping to California, Nevada, Arizona and New Mexico – opened its new hub in Visalia on Aug. 30. As the company’s 30th facility in California, the Visalia hub will be the largest location yet, allowing the company to provide even more efficient priority, ground, and freight services throughout the West. With nearly 63,000 square feet of space, the Visalia distribution hub at 1717 N Shirk Rd. features 47 dock doors, allowing GSO linehaul trucks to be loaded more quickly for even faster delivery of packages. With roughly 75 percent of GSO packages running through Visalia, the expansion is expected to further improve efficiency. “This facility will use state-of-the-art technology to further improve package processing and linehaul speed, while giving us the ability to increase capacity and deliver more packages for our customers, leaving us well-prepared for future growth as we expand into more territories,” says GSO operations director, Dave Johnson. The Visalia hub will feature advanced technology such as automated scanning and sorting systems to improve performance, with the equipment expected to be fully installed by the end of September 2018. And true to GSO›s Green Initiative, the facility incorporates environmental features such as renewable materials, LED motion-detected lighting, an energy efficient HVAC system, and drought-resistant landscaping. 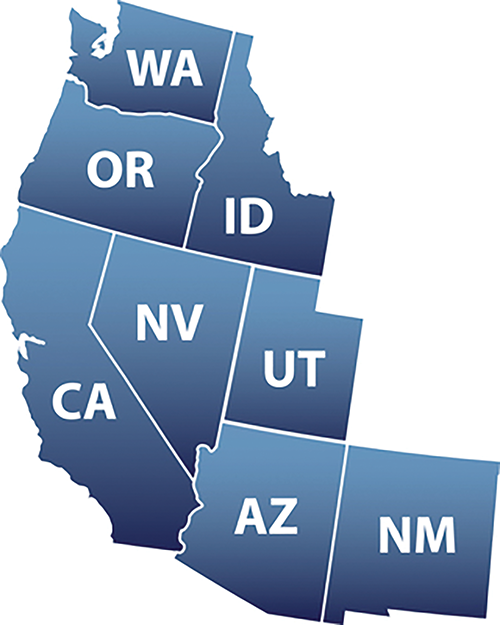 Founded in 1995, GSO makes more than a million deliveries each month throughout the West covering California, Arizona, Nevada, New Mexico, Oregon, Washington, Idaho, and Utah. With 48 depots and two hubs, GSO provides Priority, Ground, and Freight service with a superior level of service including later pickup times, earlier deliveries, and proactive package tracking, all at competitive rates. GSO is a wholly owned subsidiary of a General Logistics Systems (GLS) Company Holding Company, Inc.
GLS, General Logistics Systems B.V. (headquartered in Amsterdam), provides reliable, high-quality deferred parcel services for over 270,000 customers, complemented by logistics and express services. Through organic and inorganic expansion, the Group has grown to provide network coverage of 41 European states via wholly owned and partner companies, and it is globally connected via contractual agreements. About 50 central transshipment points and more than 1000 depots and agencies are at GLS’ disposal. With its ground-based network GLS is one of the leading parcel service providers in Europe. In the financial year 2017-18 GLS achieved revenue of €2.9 billion.